Have had a Super Busy week this last week!! I spent 5 days this week roaming around the country to attend my Mum's 60th Surprise Birthday party!! :) It turned out awesome and she really enjoyed it so that was fantastic!! 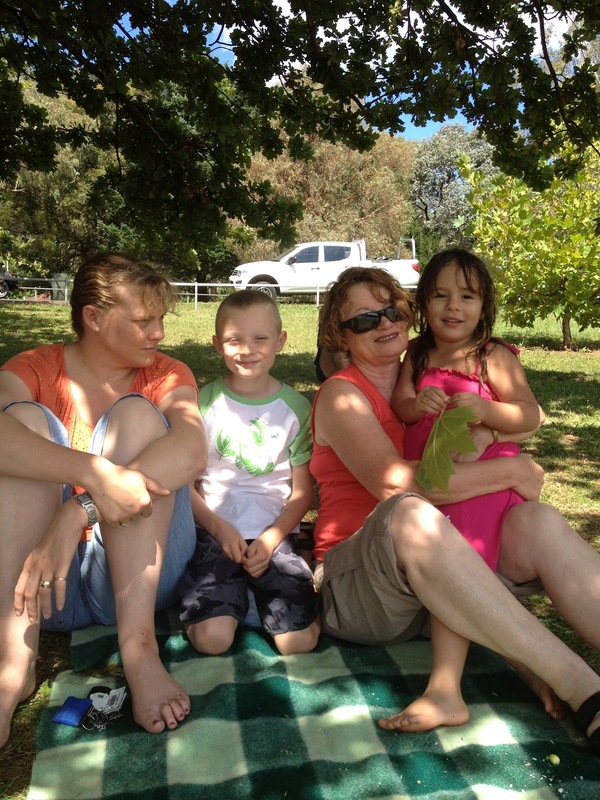 This is my mum, Sister, Nephew and daughter. I also "threw together" my entry for the ebw february challenge "NEST". I named it "spring fling" as it reminded me of Beautiful Spring days, birds chirping, blue skies, and flowers growing in the garden!! I got the gorgeous focal from Natalie from Peruzi.net She does beautiful work and I'm the proud owner of several of her Cabs!! 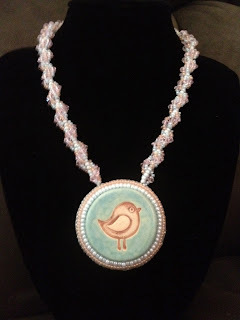 Voting for this is between the 9th and the 15th at http://www.etsy-beadweavers.blogspot.com so I hope you will all vote for your favourite item!! wow, so great works. I love it.